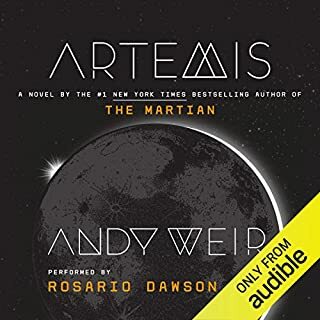 Very few books have been as disappointing to me as Artemis. I loved The Martian: the plot, the storytelling, the science, the narration, all of it. So naturally I was excited when I saw that Weir's follow up was getting great reviews and was narrated by Rosario Dawson. And yet I wasn't 30 minutes in before I was banging my head and wishing I had stayed away. I stuck with it because of all the great reviews. Surely it must get better, right? All those people couldn't possibly be wrong! Well I won't say they were wrong, but I certainly did not have the same reaction. To start with, Jazz is not a character I want to spend nine minutes with, much less nine hours. I found it impossible to care about her or what happened to her. She reminded me of that guy at the office who thinks his comments are so witty and clever, but they are actually the same stale jokes that have been circulated incessantly since they were first brought to life in some 80's sitcom. At one point Jazz's response to something she thought was obvious was, &quot;First of all, duh.&quot; Another time she drops a &quot;Oh no you di'int&quot; into the conversation. Twenty years ago Jazz's personality (and the accompanying dialog) might have been interesting, but now it's just forced and off the mark. And that doesn't account for the fact that the book takes place half a century in the future. In addition to the bad dialog and painful inner monolog I just didn't find her interesting. I get the fact that she is a brilliant underachiever, which could have made for a compelling, sympathetic character. But she just didn't resonate with me. Too smart. Too good at fighting. Too many dumb mistakes. There were times where she came up with an interesting solution to a problem, ran into realistic and interesting challenges, and then found ways to solve them. But those instances were few and far between. Mostly she was superhuman, which I didn't find interesting, or she would make a stupid choice that was completely unbelievable except as an excuse to put her in another challenging situation. This might sound a lot like The Martian, but don't be fooled. The Martian is fundamentally life or death at every turn. Mark Watney is a believable, funny, enjoyable character who is easy to root for. The science is a necessary – and fun – part of the experience. Jazz, on the other hand, is facing a situation that is best described as life or slightly better life. It's hard to care if she succeeds or fails. I didn't care about the outcome of the book until about 80% through when things start to change. The whole world came together to wait and see if Mark Watney could be rescued and as a listener I was right there with them, holding my breath and hoping it would all work out. Jazz struggled to pull together a small group of friends and family to help her when she was most desperate and, like everyone else on the moon, I really didn't care what happened to her. Part of that was no doubt due to the horrendous narration. I like Rosario Dawson on television and in movies, but other than nailing some of the accents she does a very bad job with the entire story. Her timing was odd. The voices she presented were not clearly distinguishable. She took a bad story and made it worse. I think this story could make for a good movie with some basic revisions. If that's the plan then I recommend skipping the book and waiting for it to hit theaters. All Coben's books are basically the same. Even after re-reading the book summaries I can barely remember anything about them. I listen to them. They're two parts amusing and one part frustrating. And then when they're done they disappear from memory forever. This one is no different. 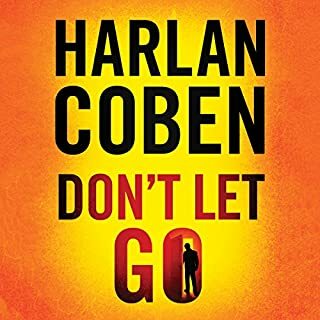 The good news is that if you like all the other Coben books then you'll like this one, too. This book checks all the Karin Slaughter boxes. It has strong Southern women subjected to violent crime. It's well written with an in-depth look at the characters' lives and histories. 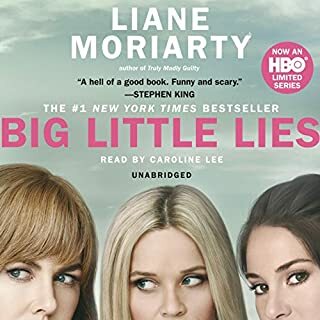 It's enjoyable to listen to, but could easily be shorter (most of her books could be trimmed by 10%, but this one could lose 20% without sacrificing anything). It expects you to blindly accept wild and unbelievable events, many of them coincidences that don't stand up to even the lightest scrutiny. Unlike her other books, however, this one fails as a mystery. And one of the &quot;shocking&quot; twists is so obvious that the effort she puts into setting it up actually takes away from the story. If you liked Pretty Girls or her other standalones then you'll like this. 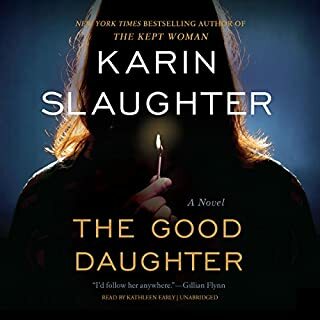 If you're new to Karin Slaughter then I recommend starting somewhere else. I came to the books as a fan of the movies, not the other way around. My complaint with the movies has always been that the third one was not up to the level of all the others and that it actually detracts from the full effect of the series. I have been repeatedly assured that by reading the books I would see that is not the case. 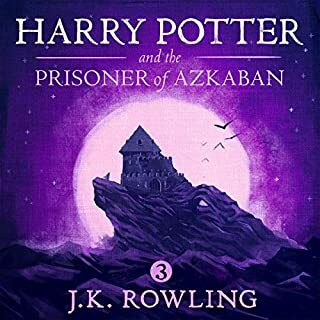 Sadly, having now listened to Prisoner of Azkaban, my opinion has not changed. The entire opening with the Dursleys feels repetitive by Book 3. I could overlook that if not for my main complaint with the audiobooks, which is that all the villains are completely cartoonish. The Dursleys are especially unbelievable and one-sided, to the point that I just want to get on with the story. But the other anti-Harry characters – Malfoy, Snape, past defense against the dark arts teachers, etc. – are equally cardboard copies of real people. I believe that there is depth in some, if not all, of these characters, but that depth does not come across at all. Maybe it's not in the writing or maybe the narrator portrays the characters poorly. Whatever the reason, it makes the story less interesting. I will stick with the series and hopefully that depth will come to the surface. Of course the tension builds as the story progresses and it's impossible not to be invested in the outcome, but even the resolution is drawn out not as good as one would hope. I look forward to getting back on track with Book 4. 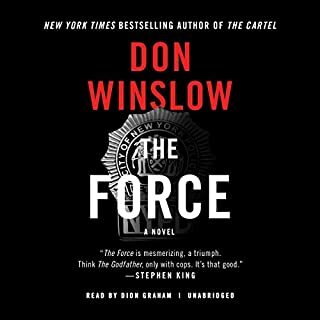 I've listened to a few Don Winslow audiobooks and I'm always amazed at the amount of information he provides about characters, backgrounds, thought processes, situations, and so on. He completely immerses the listener into the world of his stories and he does it without being repetitive, inconsistent, or mundane. The Force combines that mastery with an explosive plot that leaves the listener feeling like a fighter in training: exhilarated, exhausted, and excited to take the next step even while waiting for another blow to land. Two reasons I didn't give this five stars across the board. First, the narrator was a bit over the top and at times grating. I almost stopped listening about twenty minutes in. I gave it more time and I'm glad I did. The narration ultimately worked with the story, but could have been toned down a little. Second, I get very frustrated in stories where a significant external event, one not caused by the events of the story itself, occurs and saves the day. I'm not talking about an event that the protagonist manages to leverage to his or her benefit. I can accept such events, even if they feel a little contrived. What bothers me is when the event comes from nowhere and provides the protagonist with the only path to resolution. This is akin to a detective getting an anonymous tip 90% of the way through a book and that tip ultimately leading to the case being solved. The event that occurs in The Force is foreshadowed so it is not completely out of the blue, but the timing was so perfect it was just too much to swallow. Even with the drawbacks that kept me from giving this a full five stars I still enthusiastically recommend it. Logically I want to give this book four stars, but my gut reaction is more along the lines of two stars. And those ratings are perhaps a little generous. First let me say that the author does a lot of things right. The writing and the flow are good. The characters are distinct and well defined, if not always interesting or unique. And there is plenty of tension built throughout the whole book. My interest rarely slipped and the mystery leads to a lot of questions about who did what and what actually happened and so on. I think for a lot of people these pros will be enough to make the book very enjoyable. For me, however, the cons really bring the whole experience down. Logically there are a lot of holes in the plot. A LOT. The author pays lip service to some of these at the end, but mostly the reader is just expected to accept everything at face value. It definitely felt like the author was wedging details into certain places and shapes where they weren't meant to go. If you want to make plot secondary to characters that is fine, but you at least must make the story believable. When the reader (or listener) is banging his head in frustration over the gaps and completely unbelievable errors it takes away from everything. No characters, no matter how interesting or well written, can overcome that. Emotionally the book grew worse and worse for me for two reasons. First, the protagonist is way too obsessive. The writing is so repetitive with the obsessions that I found myself wanting to skip forward again and again. This might be intentional, the author's attempt at making the reader feel what it's like to be the protagonist, but I doubt it. And if it is it worked too well. I felt like her and I did not enjoy it. Second, and this is the thing that for me made all the other faults unforgivable, is the fact that the whole book is possible because grown women never got over their high school crushes. It makes the whole cast unsympathetic. It's one thing to have residual feelings some years later, especially if the event or person was as significant as in the book, but for multiple people to structure their entire lives around it is rubbish. If these aren't things that tend to bother you as a reader or listener then I highly recommend this book. But if you want something with believability, nuance, and characters you can not only relate to but also care about then find something else. The author does a great job of fully expanding an experience and a point of view that most of us never have first hand contact with. The plot unfolds naturally and at a good pace. And the MC's emotions and reactions and struggles are believable and beautifully developed. Even better than the story was the brilliant narration. Bahni Turpin hits the emotion of the story right on the mark, nails the subtle accent changes, and does convincing voices for both male and female characters. My only complaint with the story is that it feels too neat. Given the weight of the topic I feel like some questions would be better left unanswered. 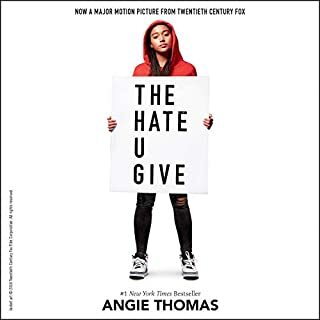 Ultimately, the YA tone doesn't take away from a powerful story. The subject is important and sadly does not seem to be one that will be going away any time soon. 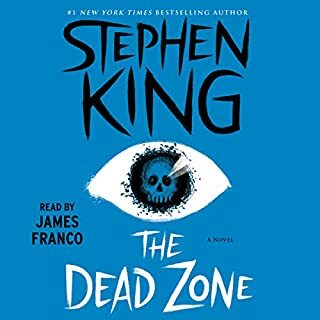 I definitely recommend this audiobook. The title says it all. James Franco was spot on with his performance and I hope we'll have the chance to hear him again. But overall the story didn't really stand out at King's best work. 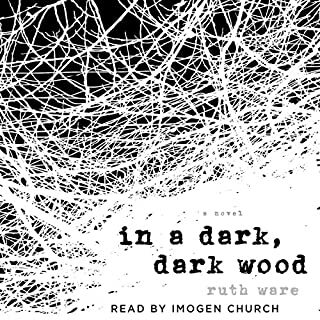 It felt like a mix of Doctor Sleep and 11/22/63, at least in parts. And it never held my attention like Joyland or the Mr. Mercedes series. I will say that it doesn't feel dated. It's set in the 70's but doesn't feel 40 years old. Worth a listen, but I wouldn't put it top of the list. The best and worst part of this book is how painfully relatable it is. The characters are so well developed and the slow, deliberate escalation of conflict so believable that the listener can't help but feel like this is something that could happen in his or her life right now. I recommended the book to a friend with children, but cautioned her that it might hit too close to home. At time I felt like the story dragged on a bit. Once the characters were fully introduced there were some scenarios that did little more than reiterate what we already knew about them. Other than that - and the distracting overuse of the phrase "it was as if..." - the story and writing were spectacular. I do wish the narrator could have differentiated the characters a little better. They were so clearly distinct in the writing that they should have been more distinct in the performance. But even that could not really detract from the experience too much. The story isn't really groundbreaking, but it's well told. 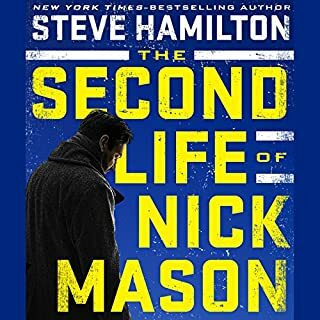 It's hard to identify exactly what it was about the book that left me wanting more, especially without giving away too many details, but it feels somewhat linear. I would have liked a little better build up and a little more resolution. Still, it's better than a lot of stuff out there today. Well written and a good performance, but ultimately not the experience I was hoping for.